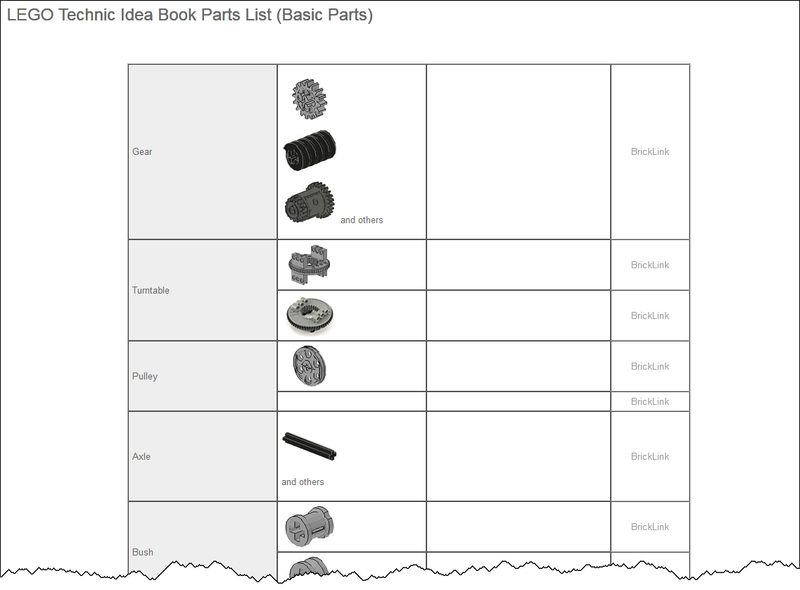 Parts for “Simple Machine” book by Isogawa-san? I would like to make some models from The LEGO Technic Idea Book: Simple Machine by Yoshihito Isogawa. It seems the author is using parts of different "Technic" sets. Could you advise where can I get parts (or ideally a set) to make the models for the book? There was a lot there, but the very last sentence from your Amazon link mentions to visit the No Starch Press website for a list of the special parts used in the book. The LEGO Technic Idea Book: Wheeled Wonders. The LEGO Technic Idea Book: Fantastic Contraptions. All with a few set recommendations directly from the author, where he suggests sets that have a wide range of parts in single set purchases. For parts left over, he offers a reference list with colored pictures of each part, and purchasing links to Bricklink.com. As far as I know Isogawa uses a large range of colored bricks to show the mechanisms. There is no single real set you can buy that contains all the parts. If you really need to have the exact same colored bricks you would need to look into buying them separately. However this might get a little tedious or expensive. Any other bricks in common colors would work nicely as well. There are many ways of buying the needed bricks separately. You may wish to check Bricklink, Brickowl or LEGO Pick-a-Brick selection. www.bricklink.com is a great place to find parts! Not the answer you're looking for? Browse other questions tagged technic part-identification piece-information books or ask your own question. Is there difference between different colors of LEGO axles? How to start with technic? How to make a conveyor belt with LEGO parts? Where can I find LEGO Digital Designer projects for Lego Technic MOCs? Is it possible to create a differential if I don't have it as a ready to use element? What Technic set should I get for general Technic MOC?